Mobile Radios at CB World! 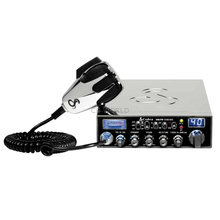 Need a CB radio, 10 meter radio, or emergency radio to use in your vehicle? 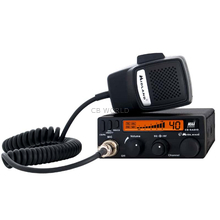 Check out CB World's large selection of mobile radios! 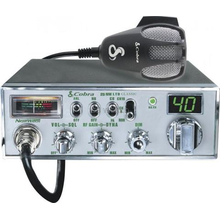 A mobile CB radio is the most common type of CB radio you will find. It's basically a small box with a bunch of dials and a mic attached to the front that is usually installed under/over dash or floor mounted. Traditional mobile units come in many different sizes, and with lots different features. If you are purchasing a radio for your vehicle, you will most likely end up with a mobile or all-in-handset radio. 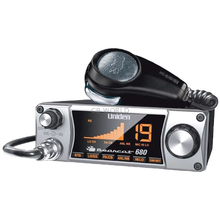 Before deciding on a radio you will want to examine your vehicle to determine radio placement. Make sure you have adequate space to mount the radio you select. Typically, the underside of the dash or floor mounting provides the best options. Make sure the spot you select to mount your radio won't obstruct your leg movement or your passengers. Also, be sure the location you select to attach the mounting bracket is strong enough to hold the weight of the radio. Today's electronics tend to have a lighter weight that makes this problem trivial, but better safe than sorry. Also, keep in mind that depending on where the radio is mounted, an external speaker may be required to hear conversations more clearly. 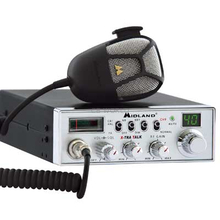 We are often asked which is the best CB radio. 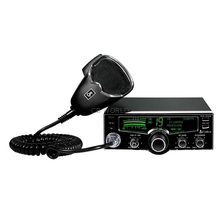 While it is hard to say one radio is better than all others because the features vary so much, here are some of our favorites: Cobra 29 LTD Classic: Cobra makes some of the best quality radios available today. The 29 LTD has features like a built in SWR meter, noise blanker, and delta tune. 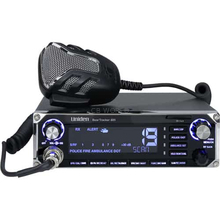 Uniden PRO510XL: This radio is simple to use and is very durable. If you don't need any of the fancier features, consider this one. The Galaxy radios are also some of our favorites due t their high quality and various available features available. One of our newer radios, the BearTracker885, is awesome. 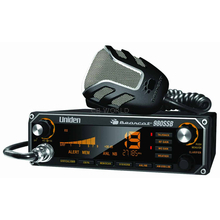 It is a hybrid CB radio AND scanner in one. Check it out.